Home Home and leisure Is your car ready for its MOT? It’s that time of the year for car drivers, the dreaded MOT and this month will see nearly half a million cars require their first MOT after September 2015 saw 462,517 new cars hit the road. With 53% of drivers admitting they don’t even know when their MOT is due and 16% of motorists saying they have put off fixing faults with their vehicles until their next scheduled service. Halfords Autocentre is launching this month-long initiative to keep more motorists on the road, and road users safe, this Autumn. 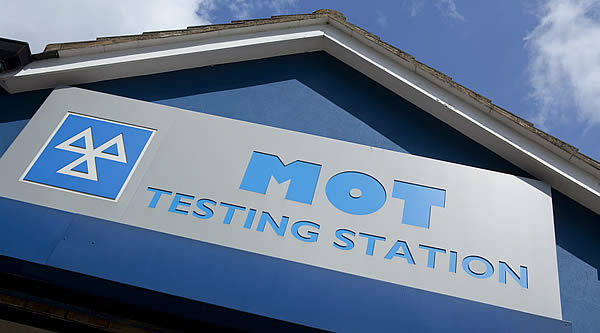 The MOT test was first introduced into Britain in 1960 by the then Transport Secretary Ernest Marples.The test was originally a basic test including brakes, lights and steering check which was to be carried out after the vehicle was ten years old and every year thereafter. This became known as the “ten year test”, or alternatively the “Ministry of Transport Test”. The high failure rate resulted in the age that vehicles became due for testing being reduced to seven years on 31 December 1961. It has expanded somewhat since then. In April 1967 the testable age for an MOT was reduced to three years. On 1 January 1983 the testable age for ambulances, taxis and vehicles with more than eight passenger seats, excluding the driver’s, was reduced to one year. In 1991, checks of the emissions test for petrol engine vehicles, together with checks on the anti-lock braking system, rear wheel bearings, rear wheel steering (where appropriate) and rear seat belts and in 1992 – a stricter tyre tread depth requirement for most vehicles. 2005 saw the introduction of a computerised administration system for issuing non-secure test certificates. Also rolled out in 2005 was the creation of the ‘Automated Test Bay’ while in 2012,checks of secondary restraint systems, battery and wiring, ESC, speedometers and steering locks. Halfords Autocentre is offering a FREE MOT to any customers who shop in Halfords retail branches. Any product bought in a Halfords store between now and the 14th October entitles the buyer to a FREE MOT, which they have 13 months to redeem. reassured that they will be very well looked after when they get their vehicle MOT’d.